Known as the Great White Whale this Ace Courier from about 1974 filled my rear view from about 1981 to 83. 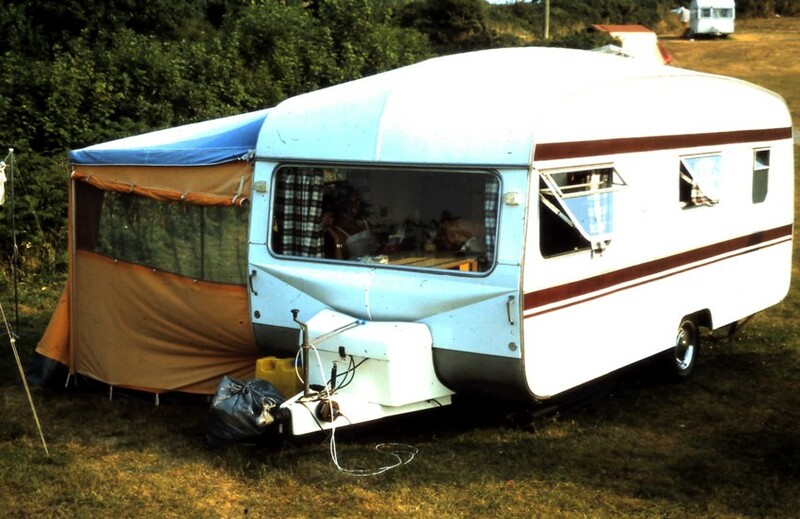 The awning was rather smelly canvas and very heavy. Mostly in Pembs. A much sweeter van this - a Manchester built and now lamented Lynton GP 480. 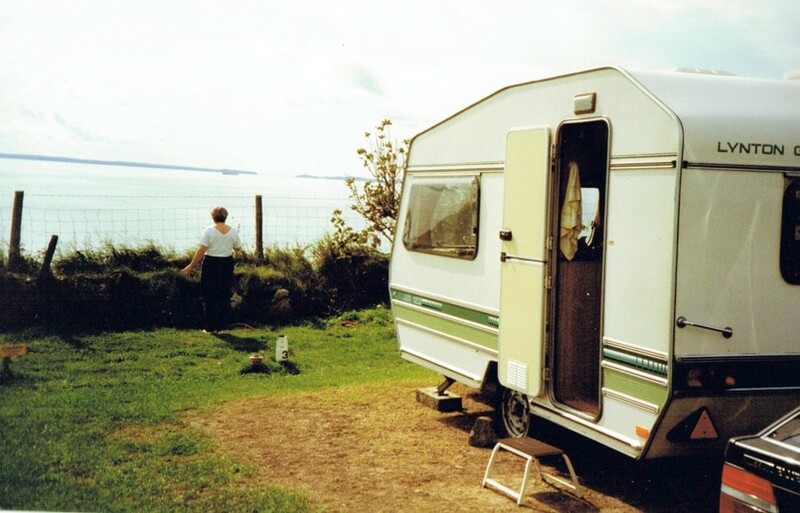 Just two berth but only a few years old when we had it in about 1994 (having flirted with a boat!). 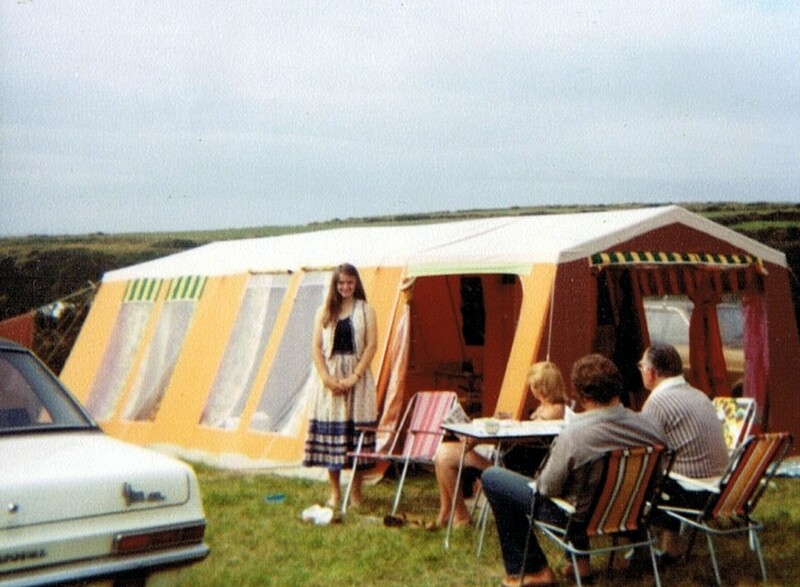 This is at Caerfai in Pembs but it took us to the Pyrenees and many other places. 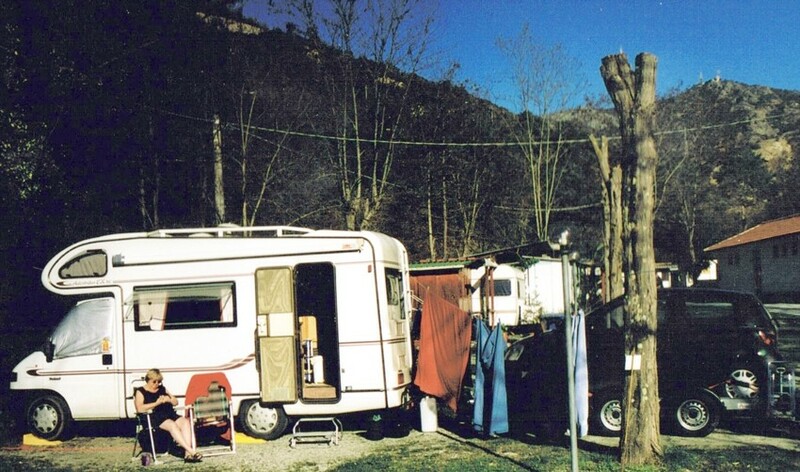 Something different here in 1993 we took this Eldiss Autostratus and a towed Yaris to Italy - here in the Cinque Terre region - and got to Paestum beyond Naples before my health let us down. Not a great pic but it shows how useful having the car was - just was not the best idea to use a trailer. But sadly that was the law then in Italy if you did not want your car confiscated along with the trailer! 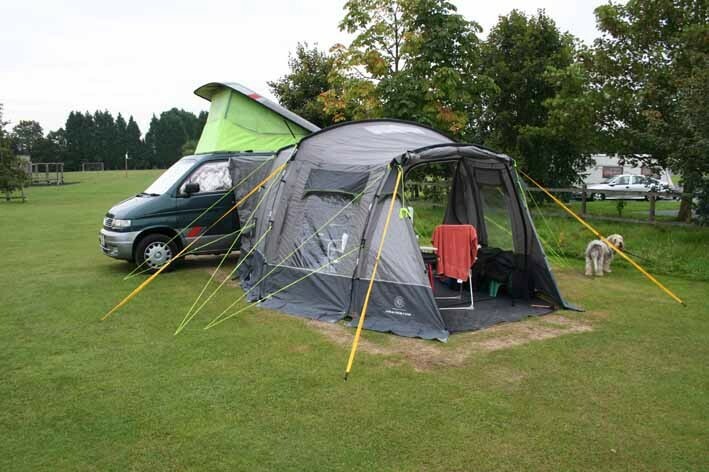 Not one of our best ideas but in 2006 I took against towing vans so we bought a Bongo - don't ask - and a fancy stand-alone tent thing and had a go at that. Great idea but the beds is too lumpy for old bones. Move on... (If you did ask its a grey import Jap jobby by Mazda with flip top roof and bed plus a sort of roll-out bed in the main cab. Yeah, ok, I know... Nice vehicle though.) We are in Dorset. 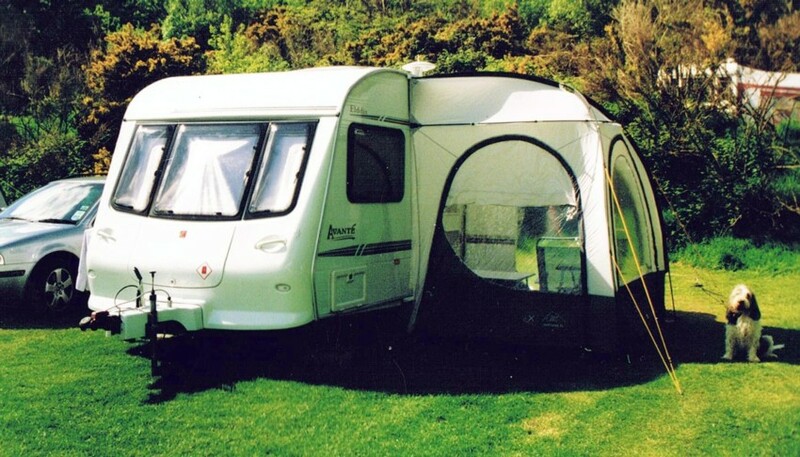 After the camper excursion we reverted to vanning and this is the Eldiss Avante that gave us a couple of good years 2004-5 before the Bongo interlude of which more anon. This took us south and west. 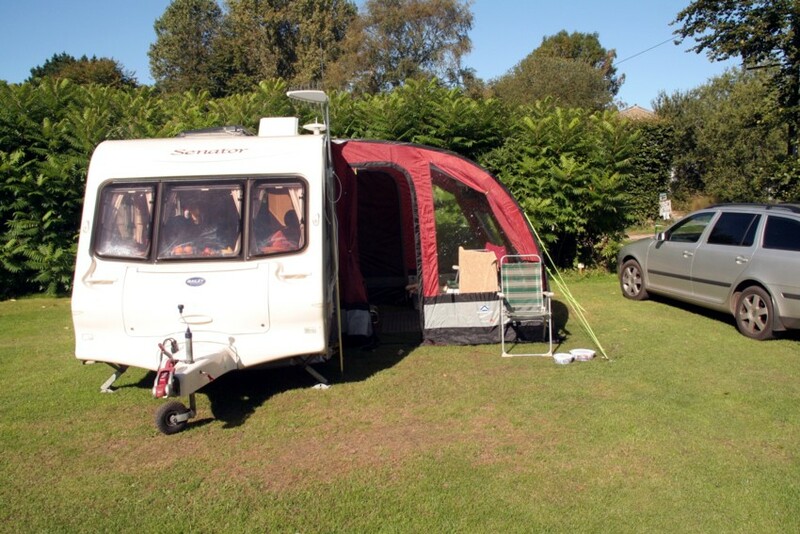 Rear view of our 2005 Bailey that we used into 2012. 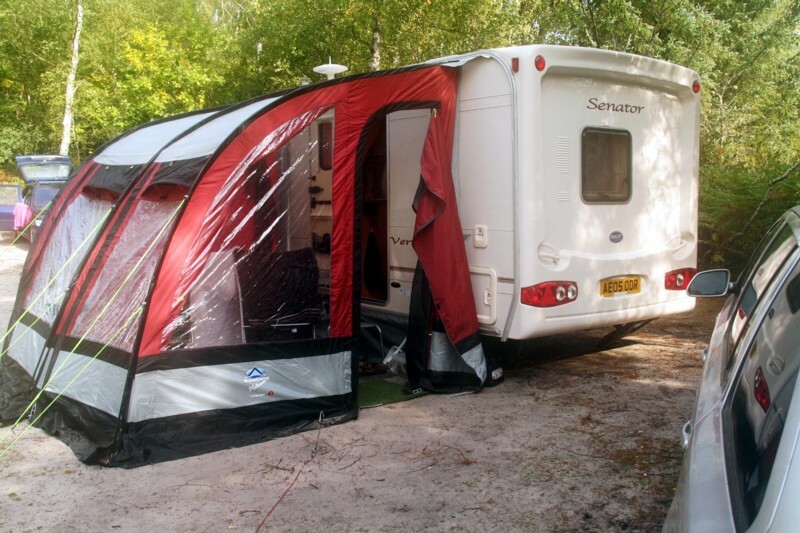 Here it is in Dorset early in our ownership and with a new lightweight awning. 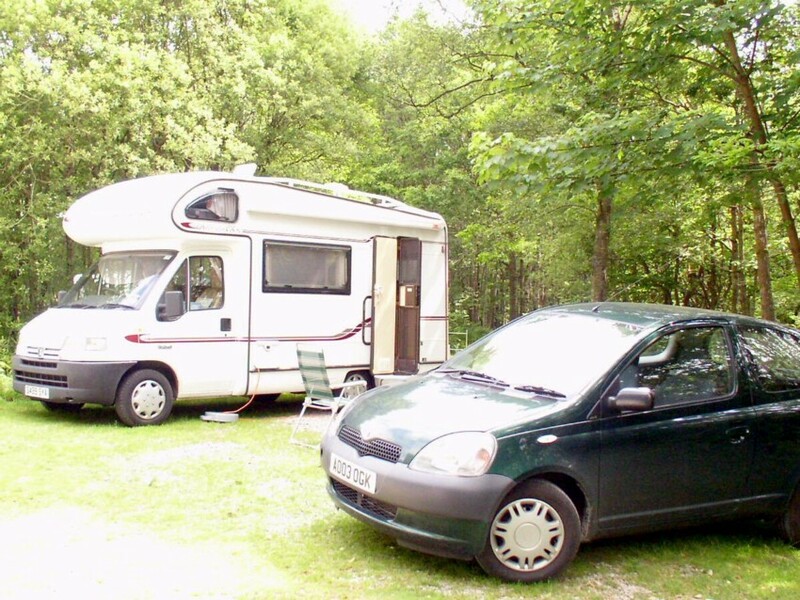 This is the van we took to France in 2011. 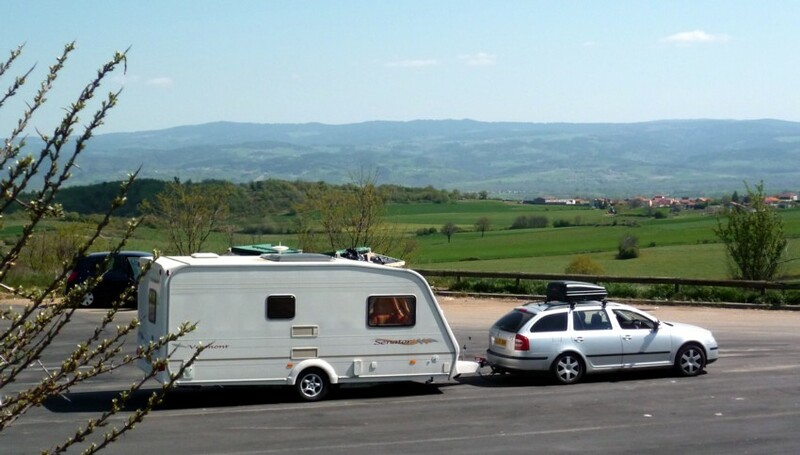 And here we are in France, well south in fine weather and this is the car park of a motorway service station - not a bad view, eh? and the latest is HERE!